A Health Savings Account is a tax-sheltered savings account similar to an IRA, but earmarked for medical expenses. Funds can be easily withdrawn from the account by check, in person or by using your Health Savings account debit card to pay routine medical bills with tax-free dollars. Contributions can be made by either the HSA owner or by the HSA owner’s employer. 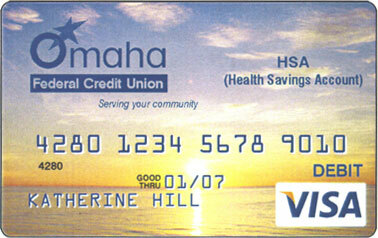 You can click on the Health Savings Account brochure below for more details. Call or stop by any of our offices to set up your HSA account.